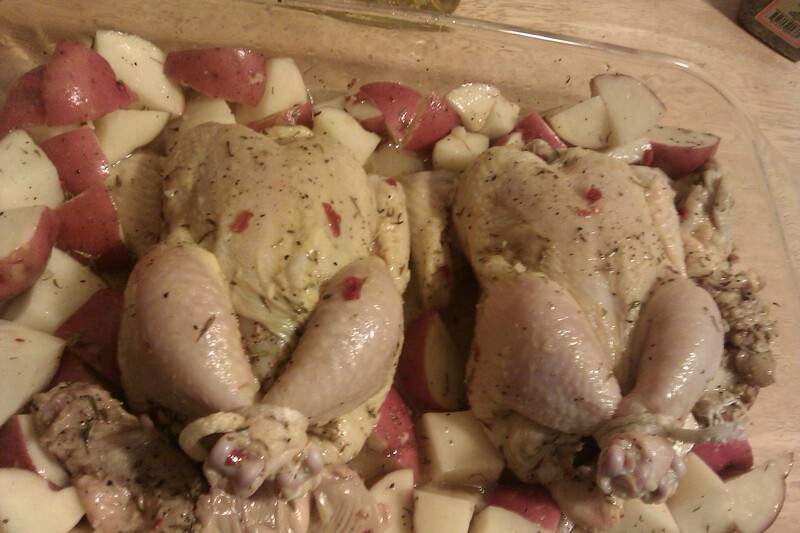 Fresh, cage- free Cornish hens over a bed of red potatoes waiting patiently for the roast. It was a smash hit at the table and even though these hens were just one pound each, consuming our own personal bird made this meal feel like a button- poppin’ holiday feast! The recipe for this dish was simple: tons of love and fresh flavor! This sumptuous meal boasts of fun, home and most especially, comfort. With ingredients found readily available in your kitchen and just about any market; a cook of any level can successfully execute this recipe. 1 lemon, cut into wedges (one wedge for the cavity of each bird) Use the rest to squeeze over entire baking pan before being inserted into the oven. My eyes would close with each bite, and it was heavenly. This was a truly happy meal. Roasted Cornish hens over red potatoes with side of red wine mushrooms and carrots soaked in honey butter. 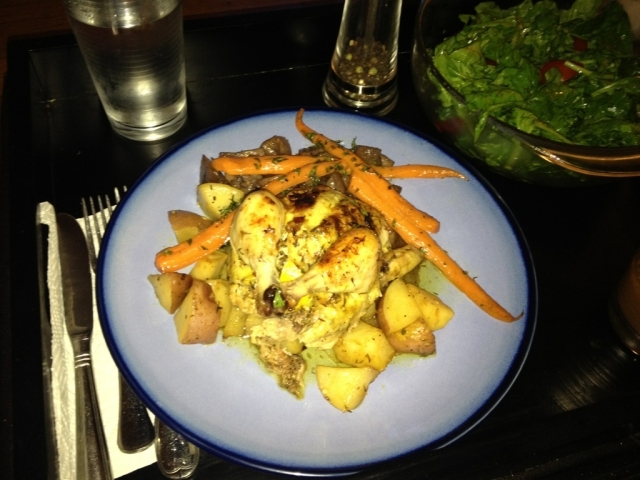 Tagged as comfort food, Roasted Cornish Hen, romantic feasts.